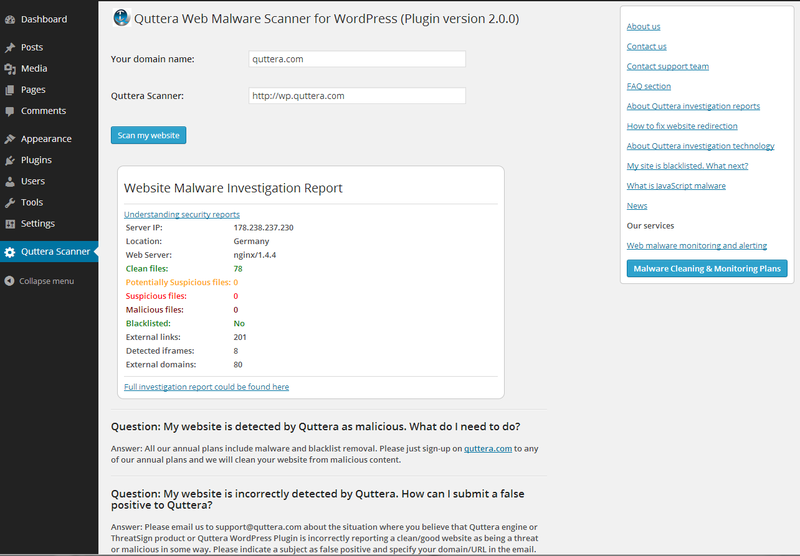 Protect your website/blog, your visitors and your online reputation with a free Quttera WordPress Web Malware Scanner plugin. 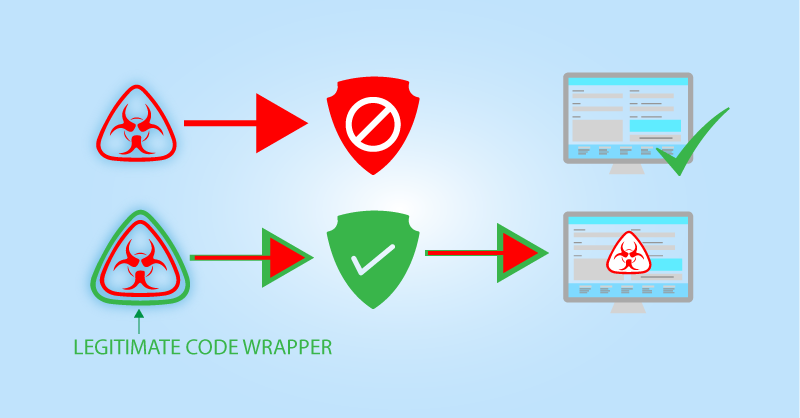 The Quttera WordPress Web Malware Scanner plugin interacts with Quttera's server using an HTTP interface and enforces reinvestigation of a specified domain. If the user already submitted his website/blog in last 24 hours, Quttera investigation server will return the latest site scan report. 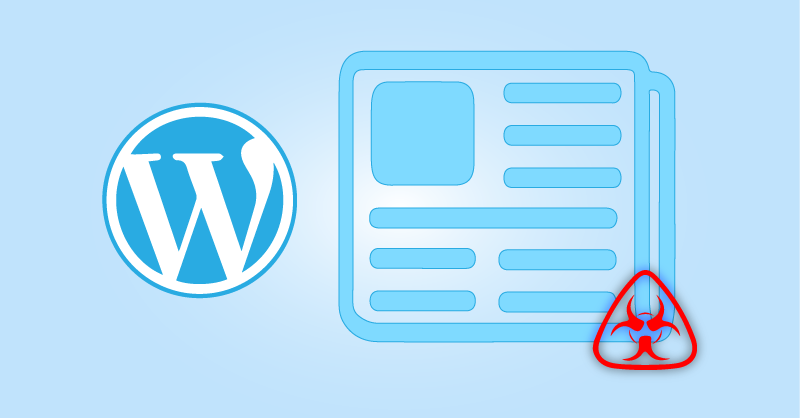 If the last request occurred more than 24 hours ago, the website/blog will be re-scanned.